With the advent of the global economy and growing tensions in the world, most communities are weary of supporting businesses that have no commitment to the region which contributed to their prosperity. Community leaders are now refocusing their economic development efforts to grow from within and support a more sustainable form of local development. Ecoleo Consultants work with local leaders to articulate sustainable economic direction for their communities. 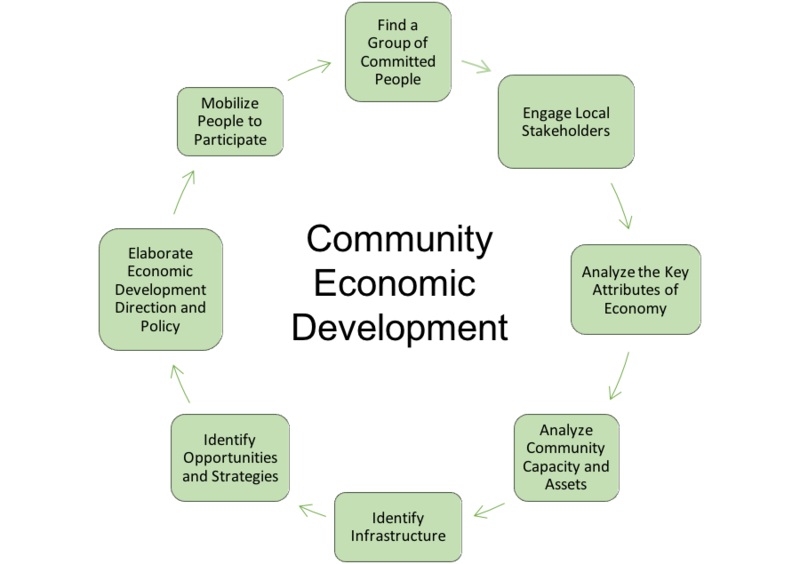 We provide tools and processes to municipalities seeking to formulate community economic development strategies and plans for their communities. This consultative process starts with elected officials and policy makers who articulate a future vision and direction, and will include business leaders and professionals looking for sustainable growth opportunities, as well as concerned citizens looking for better opportunities with affordable and sustainable living spaces for their communities. We help you implement strategies to mobilize people in the community. We coordinate and facilitate discussion forums for people to identify unique community traits and assets present in your community that can be transformed into competitive advantages leading to the development of niche markets. This comprehensive process starts with a review of key attributes of the local economy, the analysis of the demographic data – to better predict future needs - as well as a review of the area’s infrastructure. Ecoleo Consultants will also identify key economic sectors with growth potential and identify their possible contribution to economic development. We help you craft key economic development strategies and initiatives. We assist municipal councils and management in developing supportive and sustainable economic policy.